Renowned for being the only continent on earth with no indigenous population, Antarctica certainly comes across as a breathtaking – yet inhospitable – world. Yet year in and year out, about 5,000 very hardy (and very lucky) people get to call this place home. They are the men and women who keep the 70-odd scientific research bases running, be it just for the summer or, in the case of the most prominent bases, all year long. Scientists, engineers, cooks, cleaners, statisticians, geologists, glaciologists, meteorologists and wildlife-researchers are just some of the people who make up the ‘mini village’ stations on Antarctica. They are all here to carry on and support very important scientific research (the only work allowed in Antarctica) whether they work on projects directly or are there as invaluable support crew. Some stations are small and minimal whilst others boast everything one may need when living so far away from civilization for months – if not years – at a time: from sport centres and gyms to medical centres, cinemas, bars and even schools. Some, like the Chilean base of Villas las Estrellas on King George Island – one of only two settlements deemed to be anything close enough to a bonafide town, can even fool you into thinking they’re perfectly ordinary places to live. But Antarctica is not an ordinary place to live and the people who live in Antarctica are not your ordinary folks. Here’s how to meet the people living in Antarctica: the residents thriving at the end of the world. The Chilean base is swiftly becoming one of Antarctica’s most coveted tourist destinations – for two very valid reasons. First, you can simply fly here (usually from Punta Arenas) – an option preferred by those who want to cruise Antarctica but wish to skip the 2-day crossing of the Drake Passage. Very basic lodging is on offer (with only 20 beds so best book way ahead) which means that, unless you choose a ‘camp out on the ice’ excursion during your Antarctica cruise (which is actually quite epic) this is your only option for spending the night on land, this far south. Estrellas is inhabited by families of the scientists working on the base so, if you look beyond the white blanketed horizons, and squint a little, this could look like any normal Chilean village. You know, if it was dropped on an icy planet or something. The town is made up of about a dozen houses, so simply take a leisurely afternoon stroll to the souvenir shop and, by the time you return, you will have probably met the entire population. Sweet! 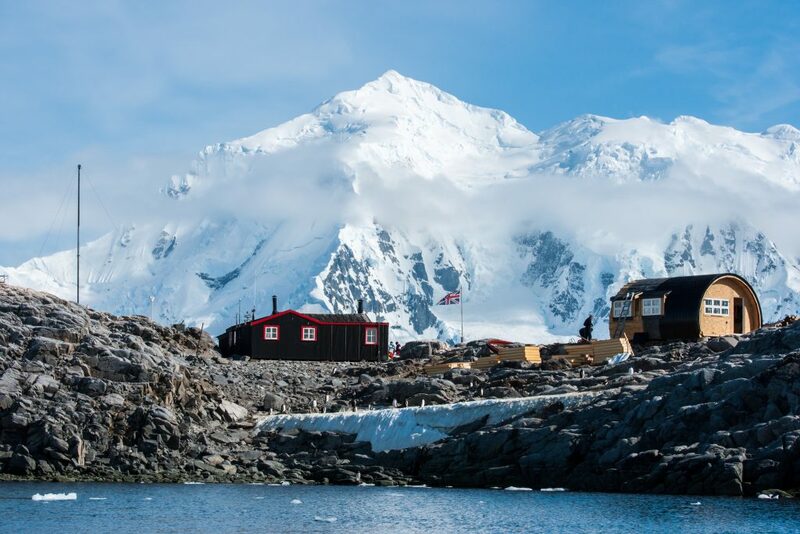 The only privatised (semi)permanent campsite on Antarctica, this spectacular place is open for overnight visitors during the summer months and can be reached via flights from the South American mainland. If you’re a mere mortal like us, this is as close to the South Pole as you could ever get and, whilst there, you’ll get to meet the incredible people tasked with building this amazing place up at the start of every Austral summer – and dismantle it again at the tail-end of it. Arrival is aboard a Russian jet, landing on a freshly scraped blue-ice runway (an experience that is both unnerving and indescribably epic. Your daytime holiday activities include cross-country skiing and fat-tire bike rides along the ice. The Union Base Camp experience is out-of-this-world and crazier still is knowing that the well-padded tents are heated to a balmy 21C, 24hr a day. Aside from the above-mentioned options, however, the best chances to meet the people living in Antarctica will always come courtesy of expedition cruises, many of which include enlightening visits to international research stations. The crew working in these bases love meeting visitors, especially just after the long, lonely, dark winter months have month, showing them around enthusiastically and answering questions about their lives and work. The lure of homemade vodka is enough to place Vernadsky top of our list, let alone the really friendly staff living there and the comprehensive tour on offer. The guys selling souvenirs and manning the bar make the place an absolute treasure and everyone who visits finds the experience exceptionally rewarding. The somewhat kitschy bar, one of the southernmost bars on earth, is a real treat yet what’s interesting about this research station is that it was sold by the Brits to the Ukrainians for just a single, nominal pound – apparently, dismantling it would have been too costly so the Ukrainians made the UK a deal that couldn’t be refused. The bar was remodelled as per Ukrainian decorating standards and it is alleged that if you donate your bra to the barman…you’ll get a shot of vodka, free of charge. We cannot possibly refute or affirm this claim. Maybe. Vernadsky is by far one of the most upbeat places in Antarctica to meet some very unique residents. The largest research station in all of Antarctica, McMurdo is the real deal – home to 1,200 summer residents, a couple of bars, a post office, the only ATMs on the continent and even a unique flying disc golf course! 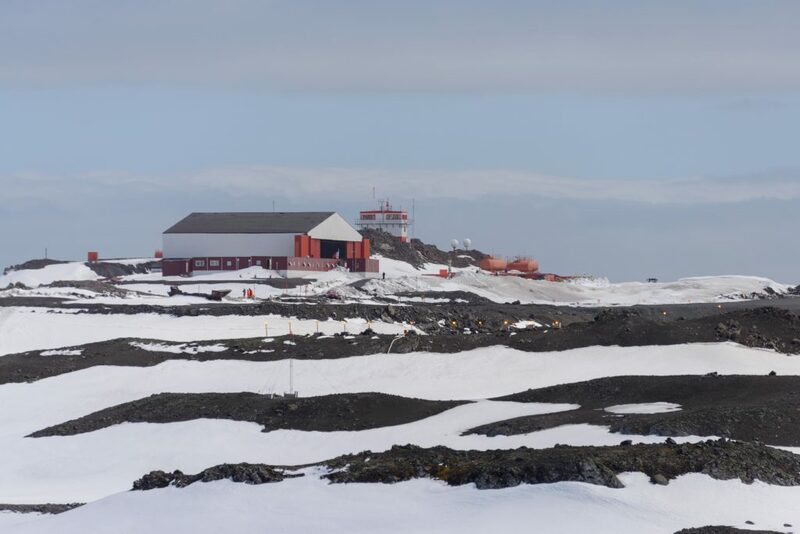 The station is on the southernmost tip of Ross Island and neighbours New Zealand’s Scott Base. Find out more fascinating facts about life at McMurdo before you visit. 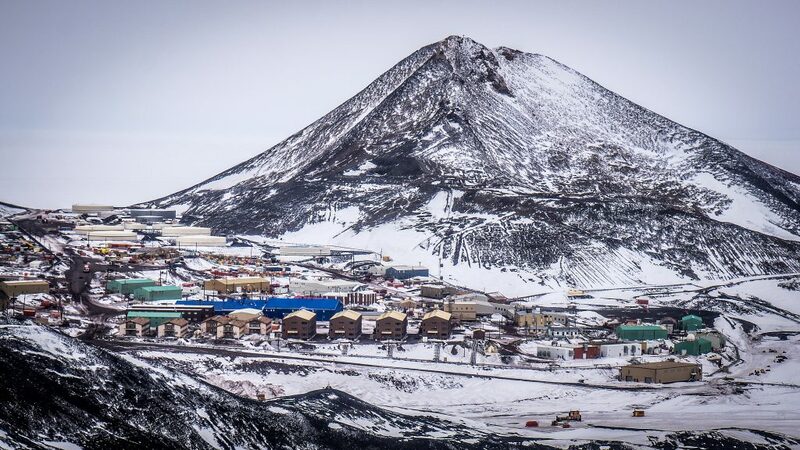 Just 3km away from McMurdo is where you’ll find the much smaller and quieter Scott Base. Visited by just a few hundred people very summer, Scott is ideal for lovers of the history of Antarctic explorations and boast some beautifully preserved buildings, originally set up by Sir Edmond Hillary when he led the New Zealand component of the 1955-58 Commonwealth Trans-Antarctic Expedition. Given the base’s diminutive size, visits are usually short and sweet but they are, in many ways, all the more rewarding. 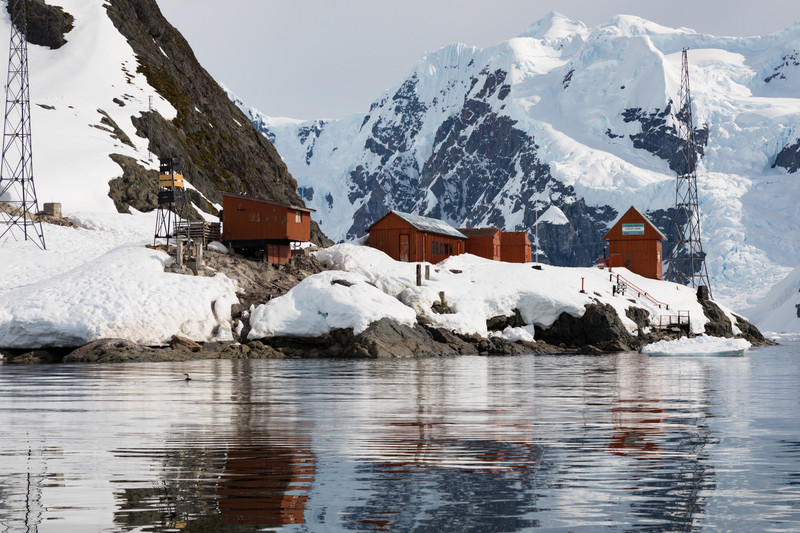 The former British base at Port Lockroy on Wiencke Island – just off the coast of the Antarctic Peninsula – boasts the southernmost operational post office on earth (also a museum) remnants of the whaling industry which was quite prolific here in the first two decades of the 20th century, and a resident Gentoo penguin colony that you really should meet. This stellar stop-over point is home to just four people who live there for about five months of the year. 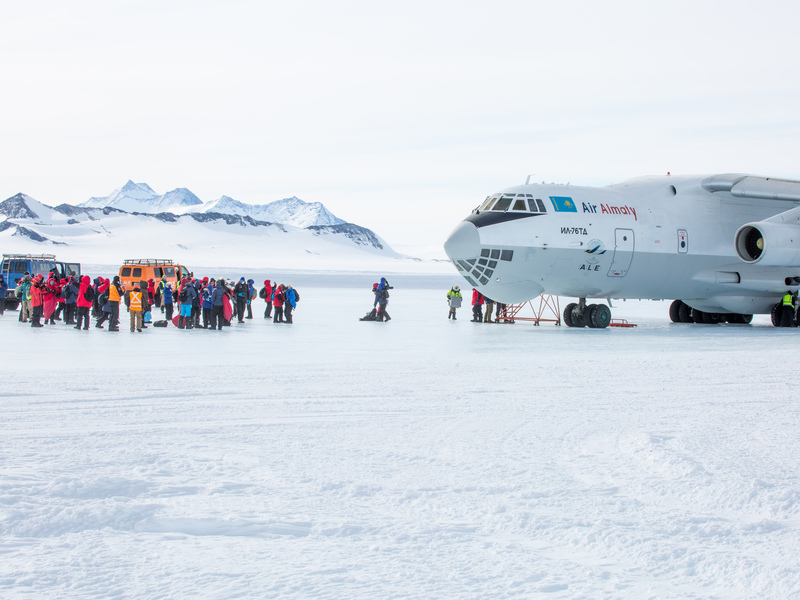 For aesthetics alone, against a stunning backdrop of rocky Antarctic beach, this one’s got to be the best-looking base to visit. 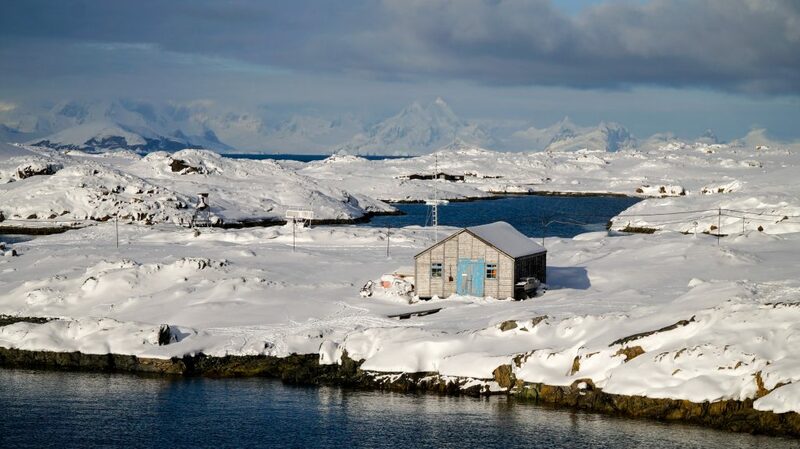 A seasonal base operated out of the north-western tip of the Antarctic Peninsula, Almirante is a positively balmy place to meet some cheery folks. Famously burned down by a staff member in 1984 – apparently soon after he was informed he’d have to stay put over the winter – the base was rebuilt from scratch and, since then, has only been operating in summer. Guess the Argentinian government didn’t want to take any chances. Built on one of the most accessible and welcoming bays in Antarctica, Almirante sees plenty of visitors – both of the human and penguin variety. Climb up to the viewing tower for awesome vistas, waddle with resident penguins and join the locals for a bum-sled down the steep cliff behind the base. Great fun! 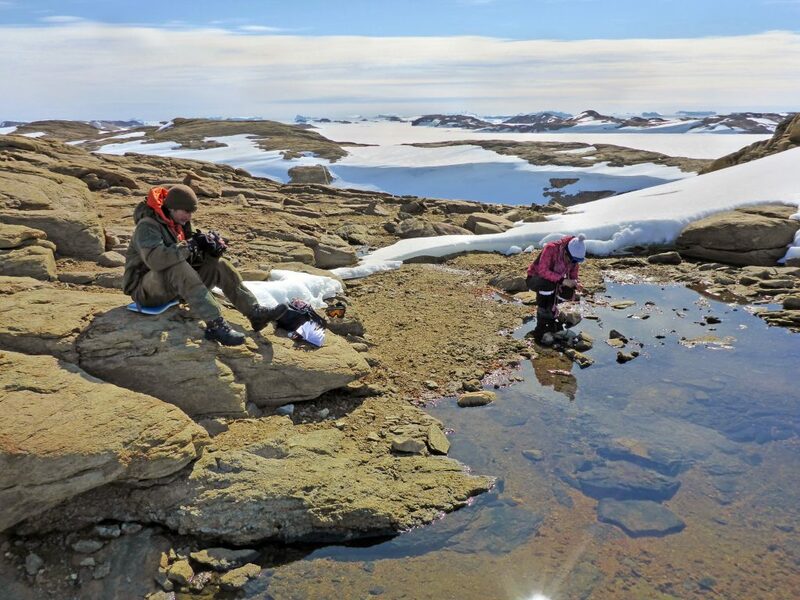 Many Antarctica expeditions from Ushuaia make a point of stopping at designated research stations, either on the Antarctic Peninsula or its outlaying islands. As always, on-shore landings are weather and ice-dependent so the later in the cruising season you travel, the higher the chances your on-shore visit will not be compromised. Do note that some bases, however, are on calmer and milder bays (like Almirante) so a visit there on select departures is just about guaranteed. Ask us about the best expedition cruises to Antarctica to meet the people living and working there and which research stations are open to the public during your visit. See our full selection of Chimu Adventures Antarctica expeditions and feel to contact us, anytime, to know more. A true adventure to the world's most remote wilderness, a world of immense scale and visual splendour! Vivid emerald, violet tints, intense blue and crimson light – the Antarctic Peninsula is anything but a world of white desolation. Our 11-day Antarctica Classic expedition introduces you to the magic of the South Shetland Islands and the Antarctic Peninsula, home to some of the planet's most impressive wildlife and most dramatic landscapes.